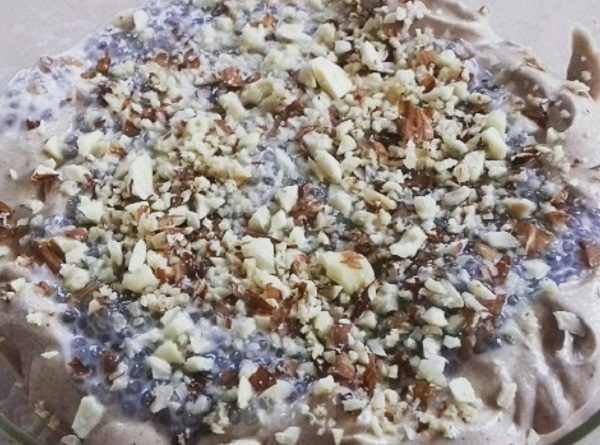 This is one dreamy combination of chocolate, heavy cream and chia seeds. You will be breathless after eating. The creamy texture melts in the mouth. This chia seed pudding is low-carb, gluten-free, vegetarian, and very nutritious. In one bowl, put heavy cream, melted dark chocolate, and Stevia. Mix with a mixer or blender, until completely smooth and creamy. You can mix everything or you can make layers.